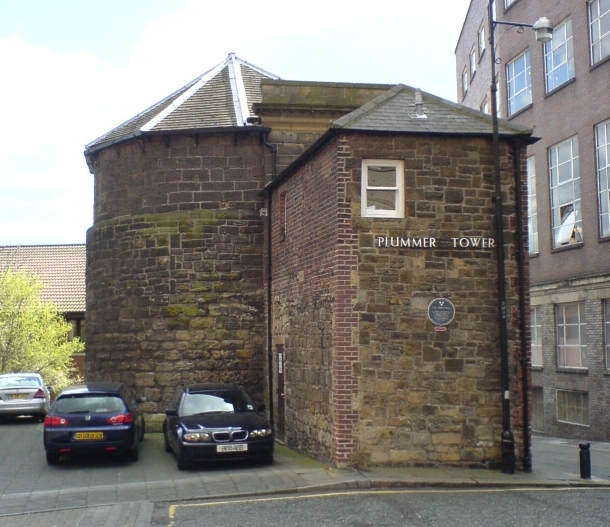 Plummer Tower was part of the old walls of Newcastle-upon-Tyne, which were built from the mid-13th century to the middle or late 14th century. It was converted into a meeting house in the latter part of the 17th century by the Company of Cutlers, and a facade was added by the Company of Masons in the mid-18th century. The older parts of the building are Grade I Listed. 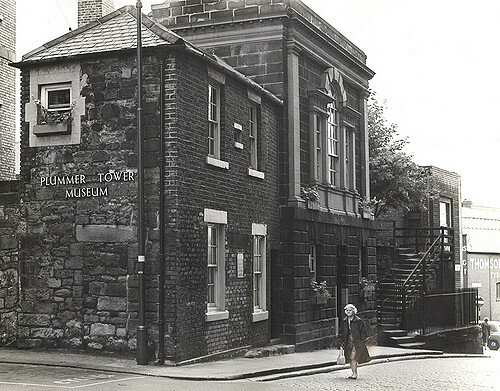 This 1964 photo shows the tower in use as a museum, while a more recent image shows the museum sign was removed. The museum seems to have been open until at least 1985, when Kenneth Hudson and Ann Nichols’ Directory of Museums & Living Displays listed it as displaying 18th-century period rooms. But beyond that we know nothing about what this museum contained. If you have any information about the Plummer Tower Museum, please get in touch. Black and white image via Co-Curate, colour image via Wikipedia. More information from See Newcastle.